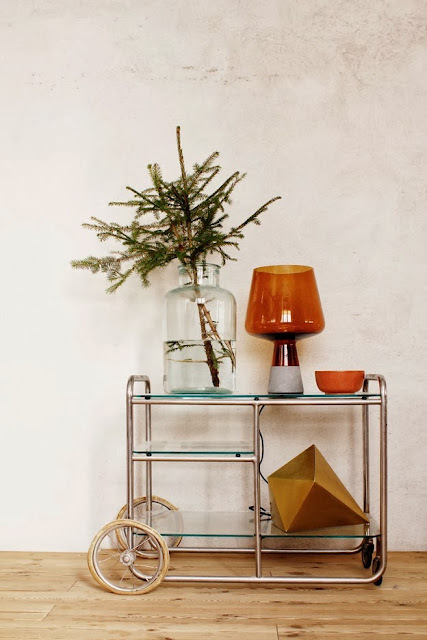 A cluster of glass votive goodness (amber and ocher and sable and sage...oh my!) 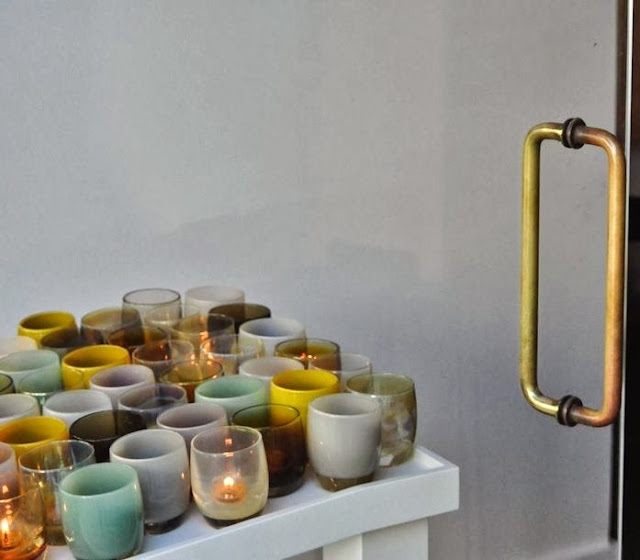 at the Glassybaby store in San Francisco via Remodelista. 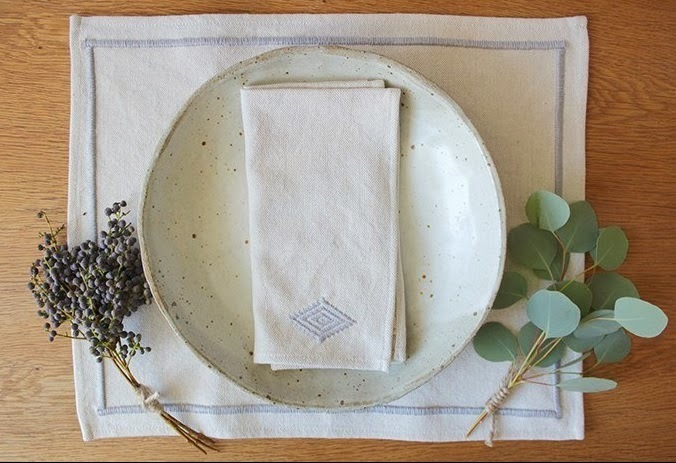 I'm also loving Glassybaby's overarching mission and commitment to giving -- makes a lovely product even lovelier. Then there's make-up artist (and wife of Rag and Bone's David Neville) Gucci Westman via I Love Your Style... Understated, cool, just the epitome of style. And can we pause for a second to pay homage to those shoes and that mammoth Cire Trudon candle on her mantle? Umm wow. And speaking of amazing ladies, hello Charlotte Perriand and your brilliant outdoor chaise for Cassina. 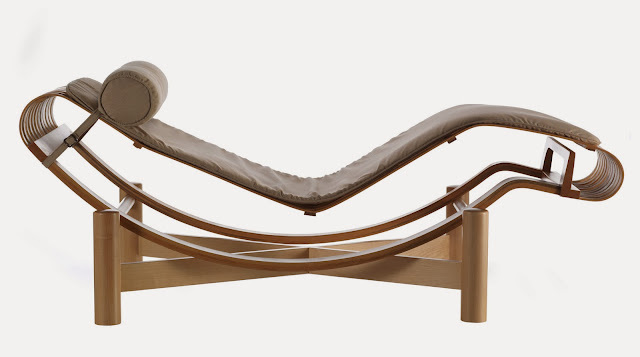 I think it's safe to say Mme Perriand has conjured the chicest outdoor chaise of all time, yes? Ok, the amazing ladies are on a roll today. Heather, your new collection is rocking my world. Full stop. And then we have sweet sisters styling their very own photo shoot over at Beklina... 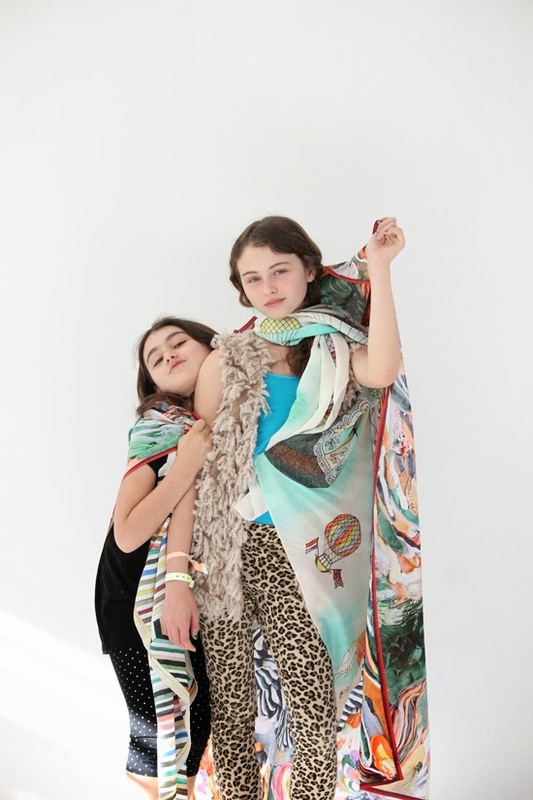 Reminds me so much of my girlies. Sigh. 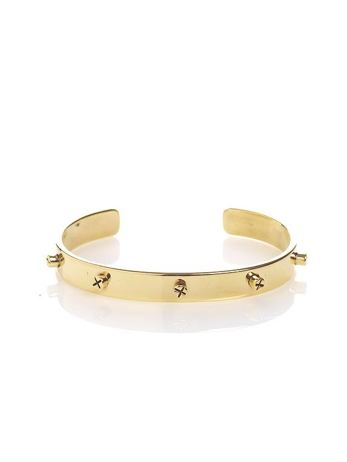 We aren't really doing Christmas gifts this year at the Taylor household (more on that later), but if we were, this Winifred Grace screw cuff from Mille would be at the tippy top of my list. We also aren't doing full-blown holiday decor (I promise we're not turning into Scrooges...there's a good reason for our restrained approach to the season), but after spotting this pretty scene on Varpunen, my scant sprigs of evergreen and smattering of gilded glass balls somehow seem exactly right.